This gnome lives in a corner of the kitchen. He doesn’t have a name, but I am a little partial to Gerome. Gerome the Gnome does have a nice ring to it, doesn’t it? 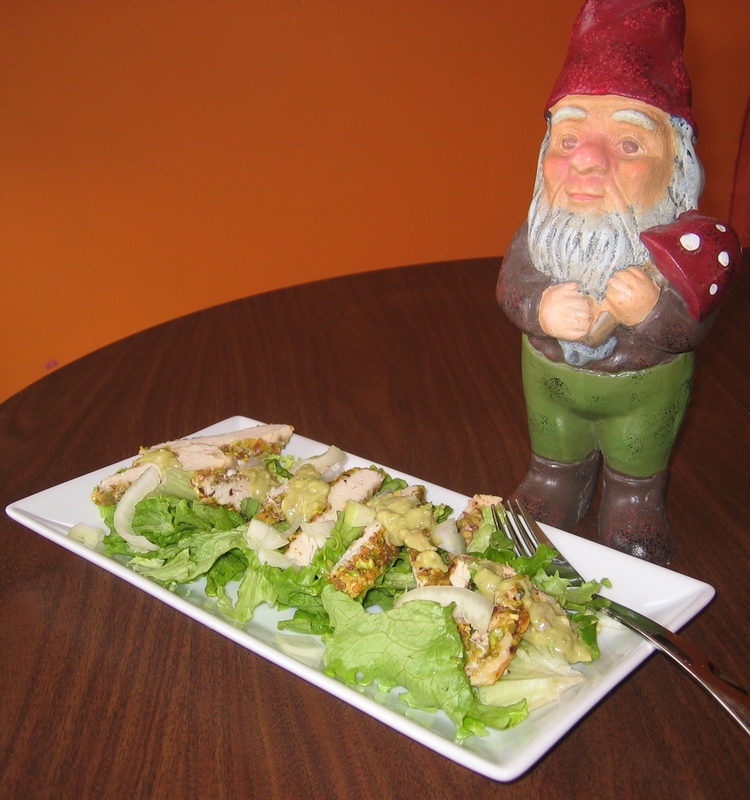 Anyway, when he is not causing trouble, he likes to oversee this salad that I named after him. Mix the nuts in a pie plate with 1/2 t salt and 1/2 t pepper. Press chicken into the nuts. Heat 1 T of the oil in a skillet and cook the coated breasts 2 min per side. Place in a baking dish and bake for 15 minutes or until done. Heat remaining T of oil in a skillet over high. Add the onion, 1/4 t salt, and a pinch of pepper. 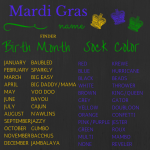 Brown onion. 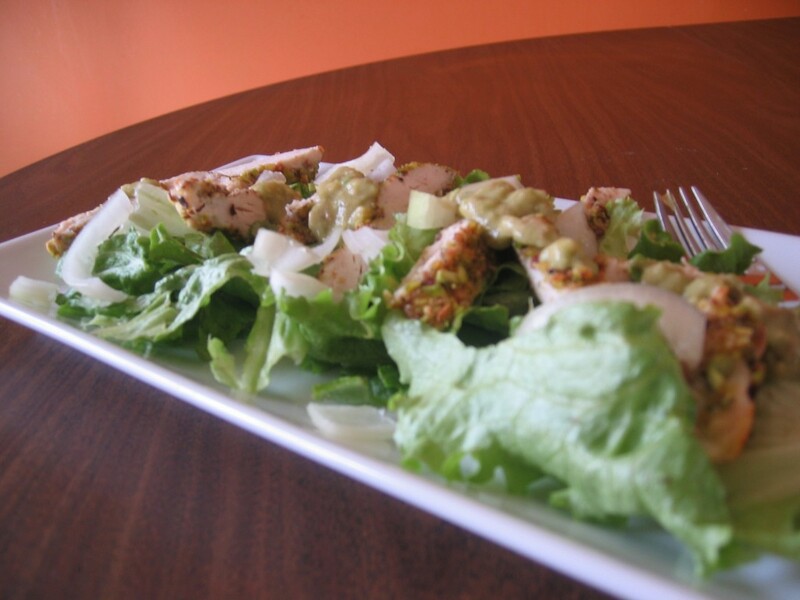 Line plates with lettuce, Slice the chicken breasts and arrange on top of the lettuce on each plate. To make the dressing, puree onion, avocado, oil, lime juice and water in a blender.